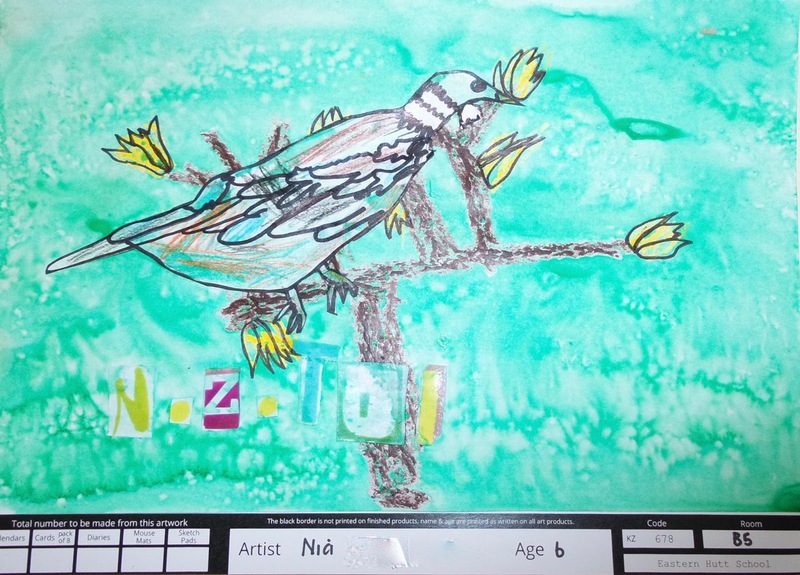 Our super-duper B5 artists have been hard at work creating pieces of work for you to admire and select for calendars, diaries, sketch pads and mouse mats! 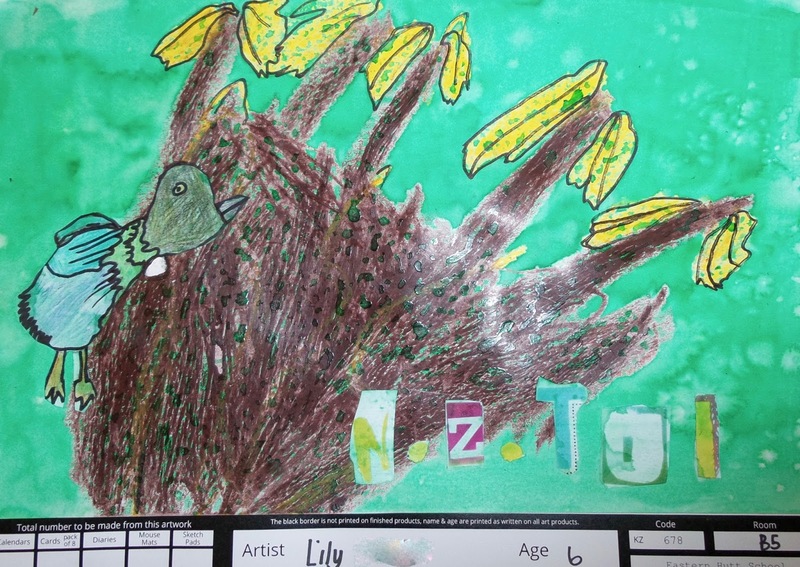 Awesome ideas for Christmas, and lovely keepsakes of your child's work too. 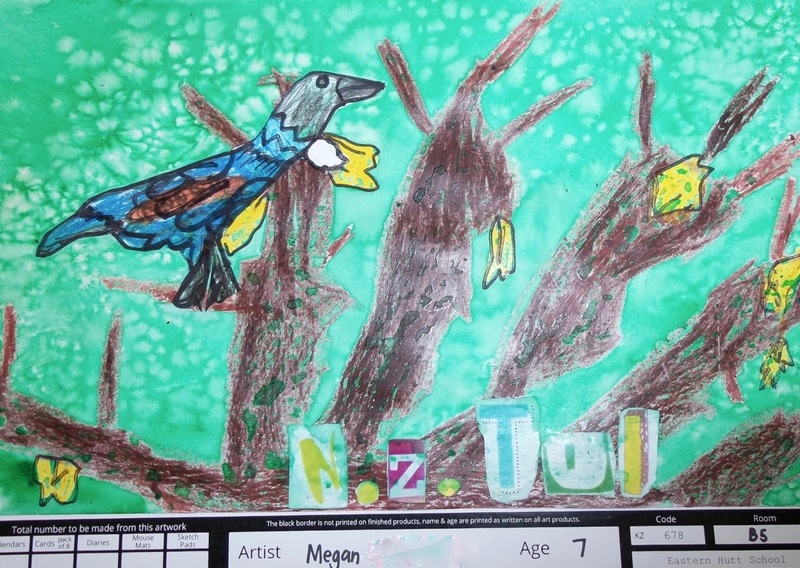 With the arrival of Spring we've been talking about the native trees planted at school (soon to be expanded with the gift of 84 more native trees and shrubs awarded to us for our school's involvement in the Paper4Trees programme), and the beautiful birds that enjoy them. 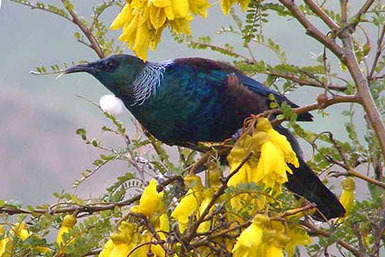 We could hear a tui in the trees the other day and had some great discussions about these beautiful birds. 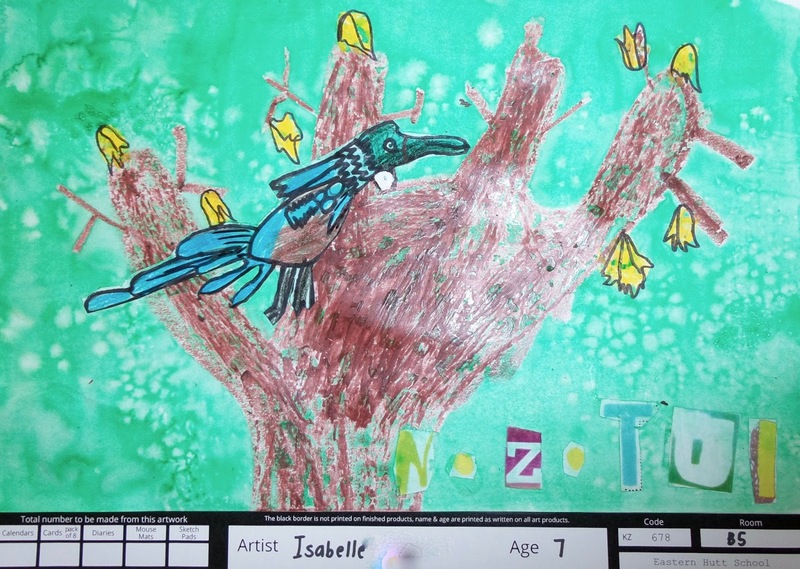 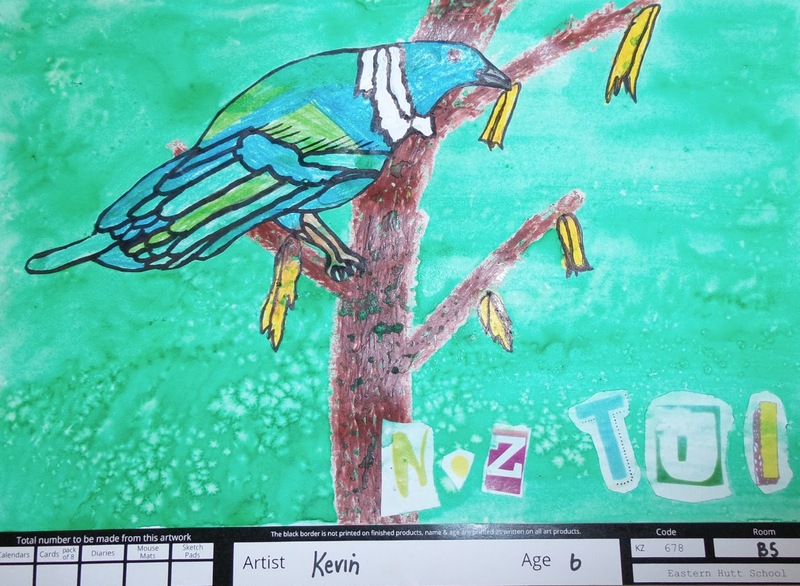 We decided to do some native bird art for our calendar art this year. 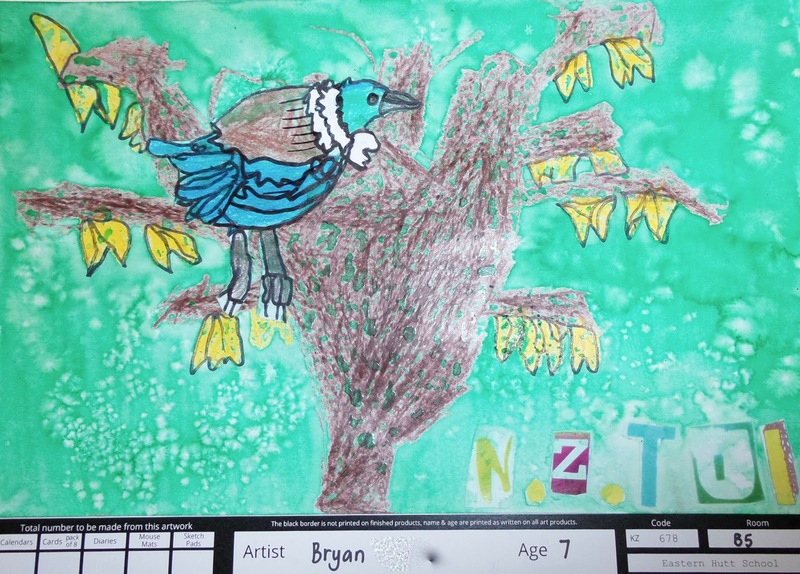 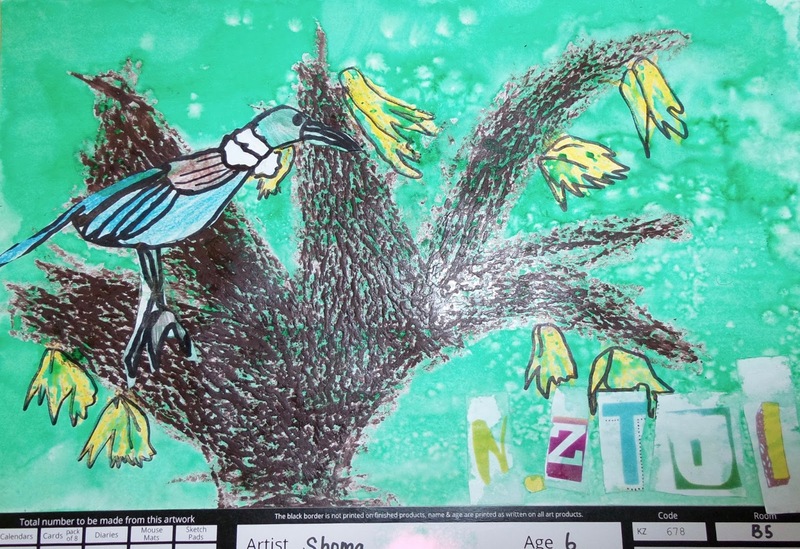 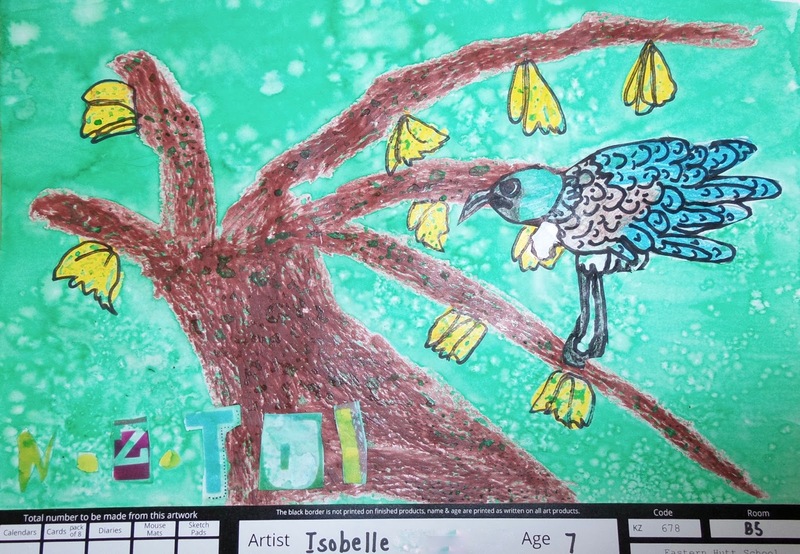 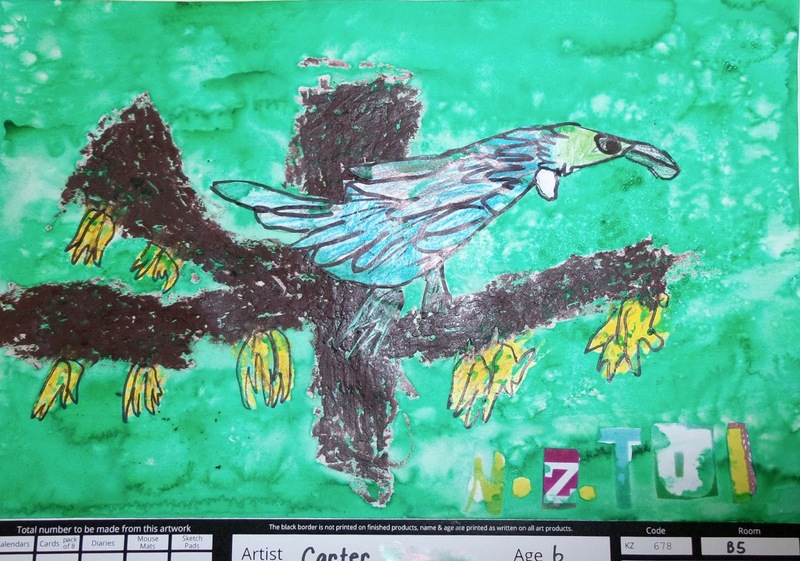 Using a similar technique to our recent Taniwha art, we used dye and salt for a 'foliage' background, over wax crayon. Following a step-by-step tutorial, we drew our own tuis, coloured them and carefully cut them out. 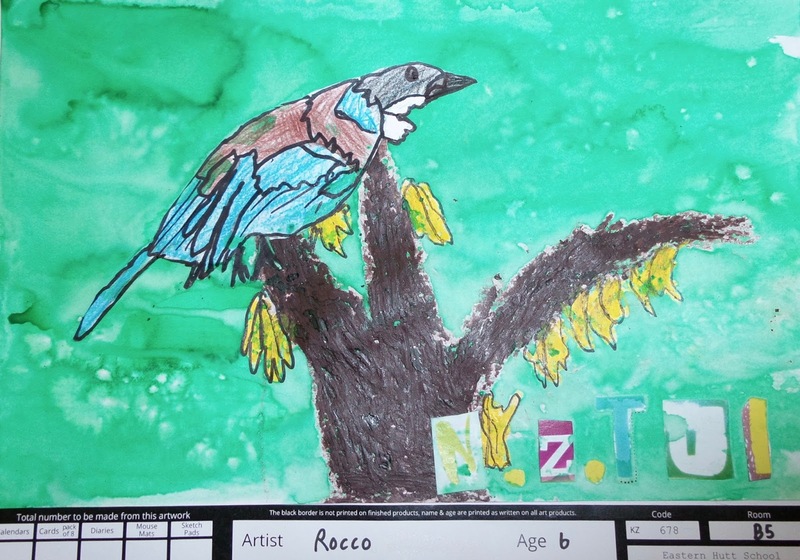 To finish off our work we brushed it with a PVA glue wash, and highlighted outlines with black vivid. 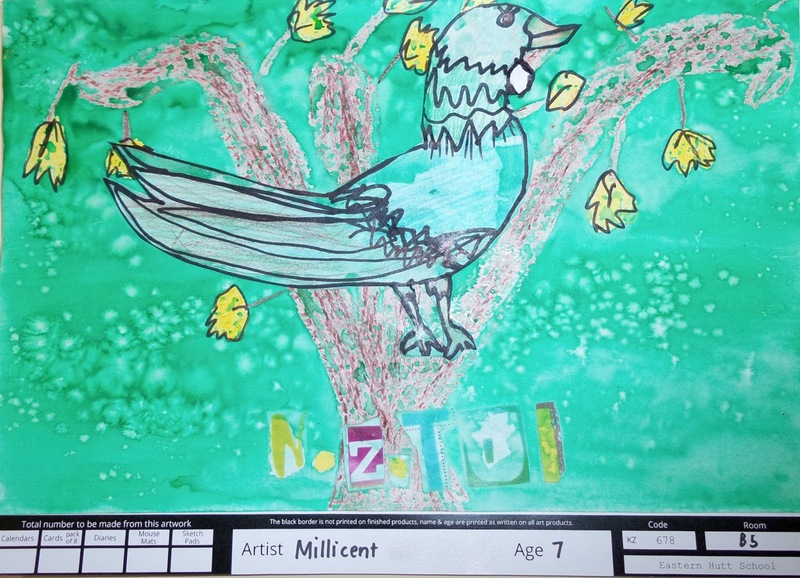 We are so proud of the results and hope you like them too! 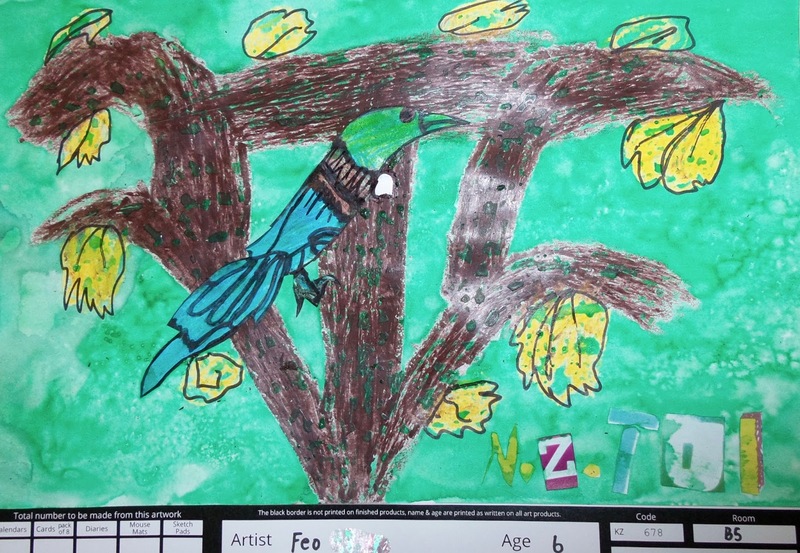 Order forms were sent home today. 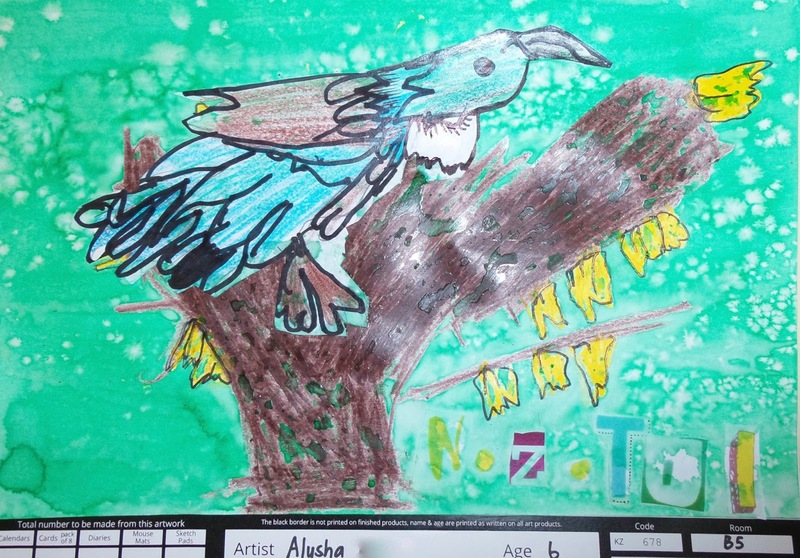 Art work is available for viewing in our classroom (green folder on sharing table). 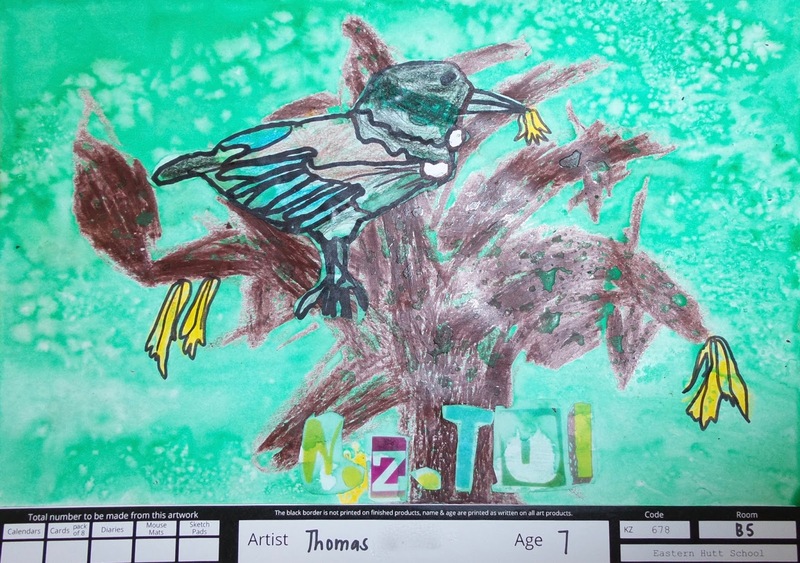 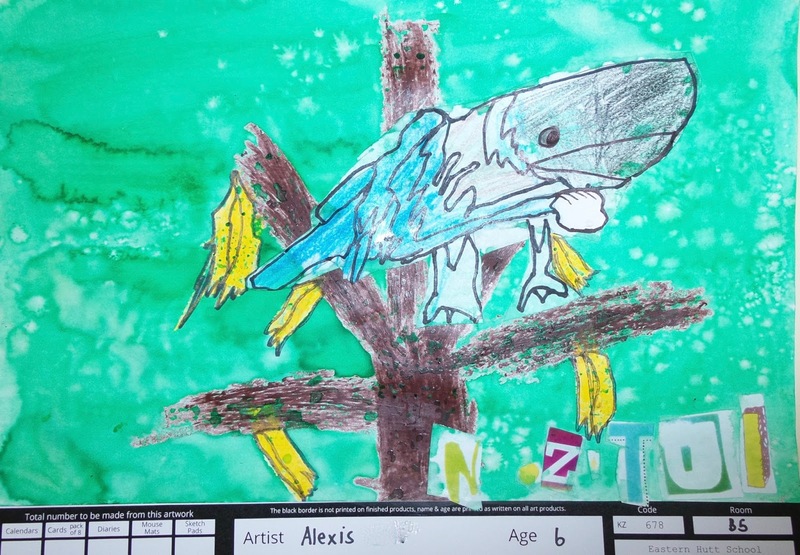 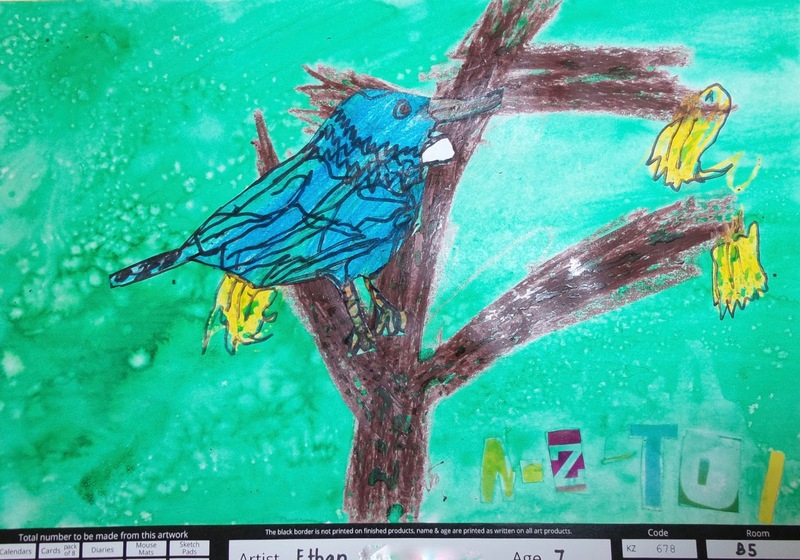 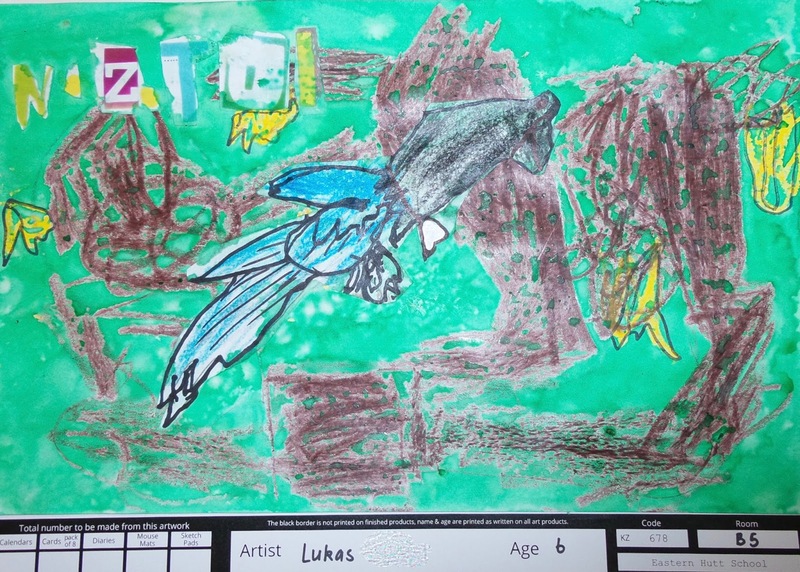 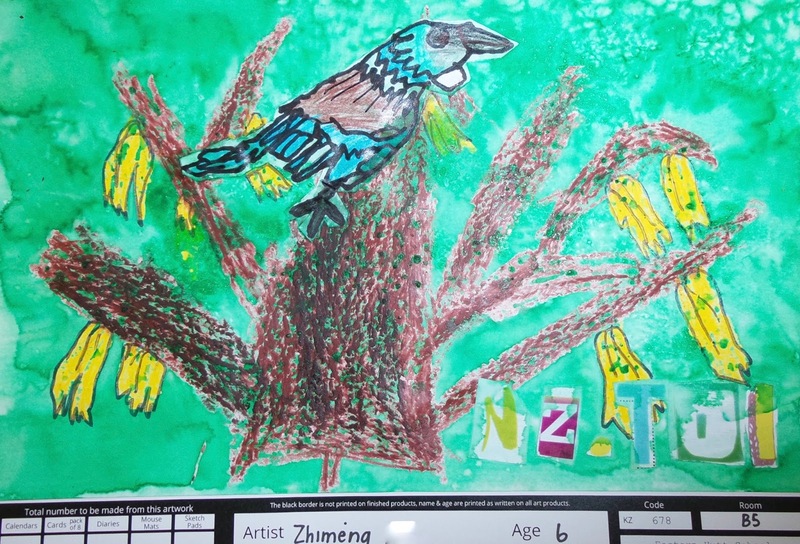 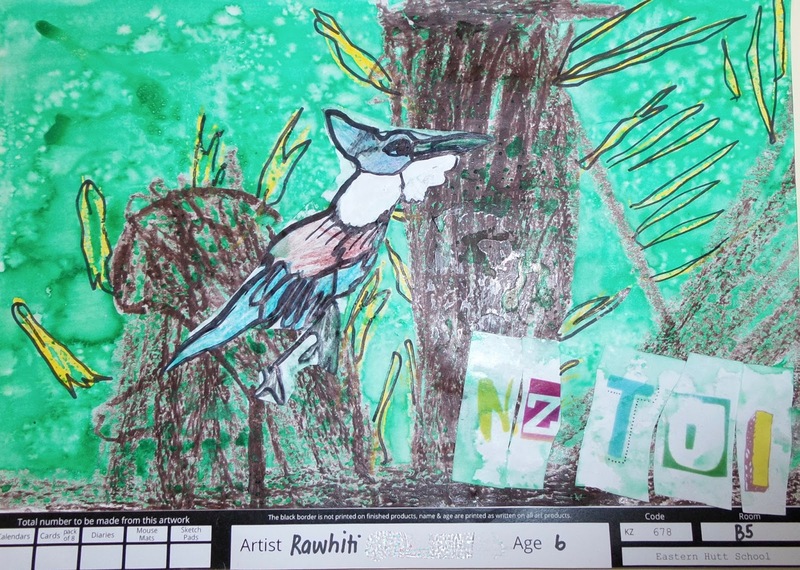 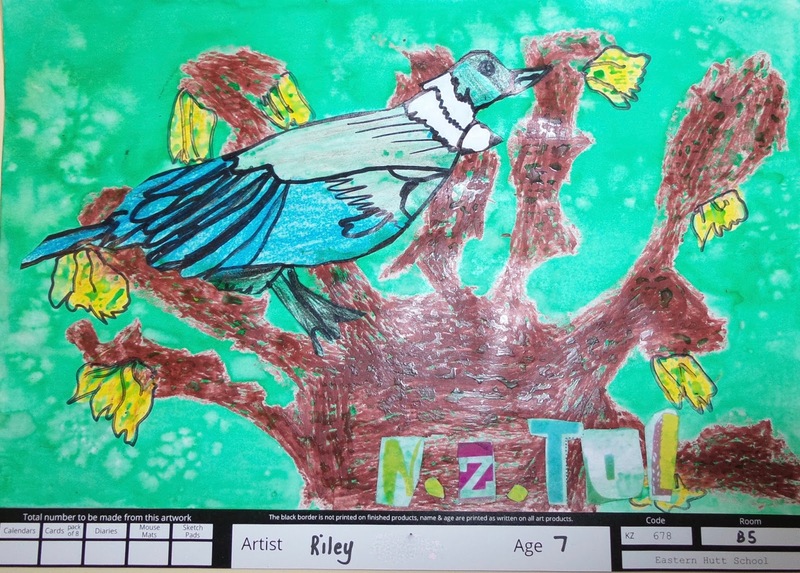 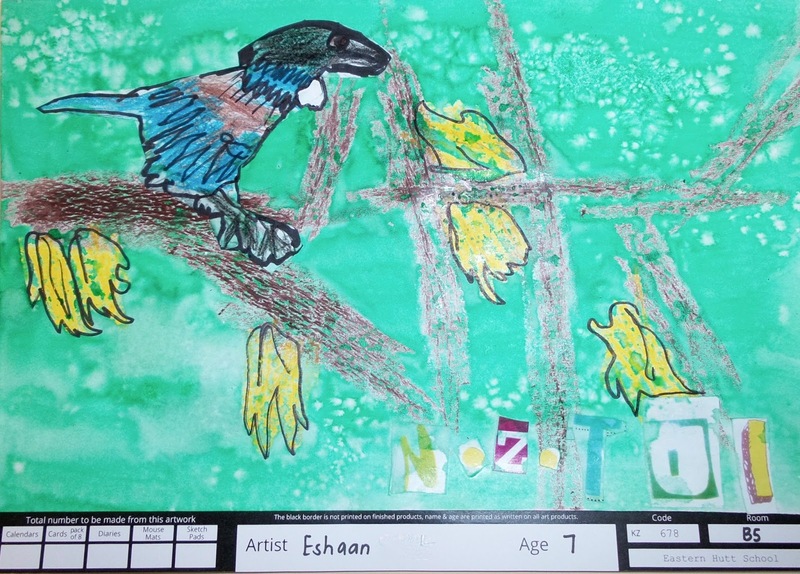 Please check with the teacher before you take your child's artwork to accompany the order form and taken to hall before school, where orders are being collected. 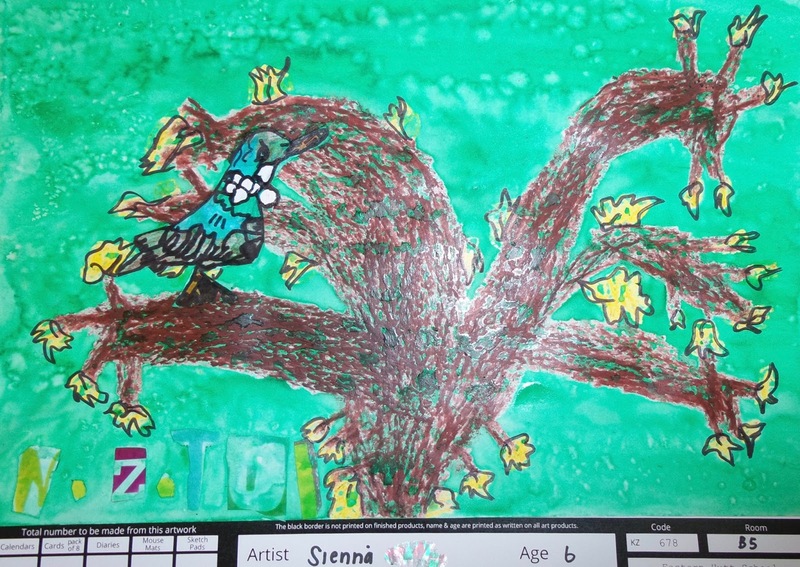 All artworks will be given to students later in the year (in their Learning Portfolios), to keep. 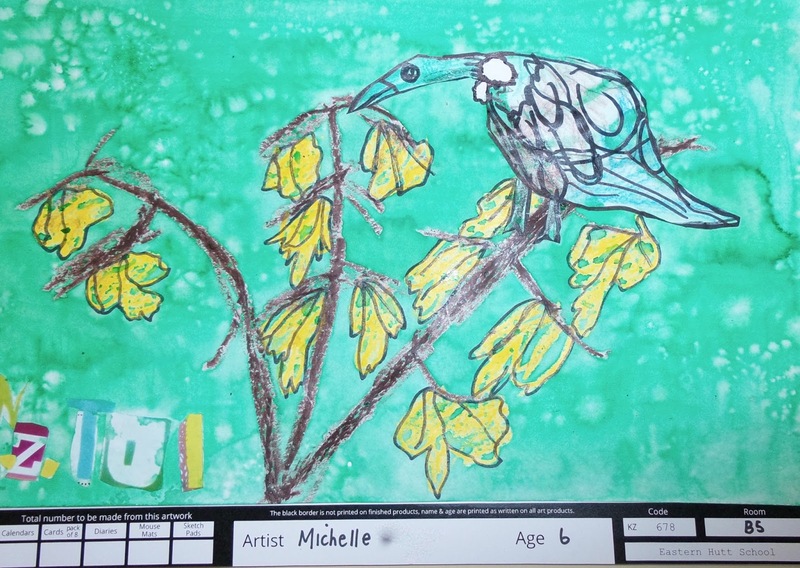 You may choose to submit a photo online, instead of using the artwork. 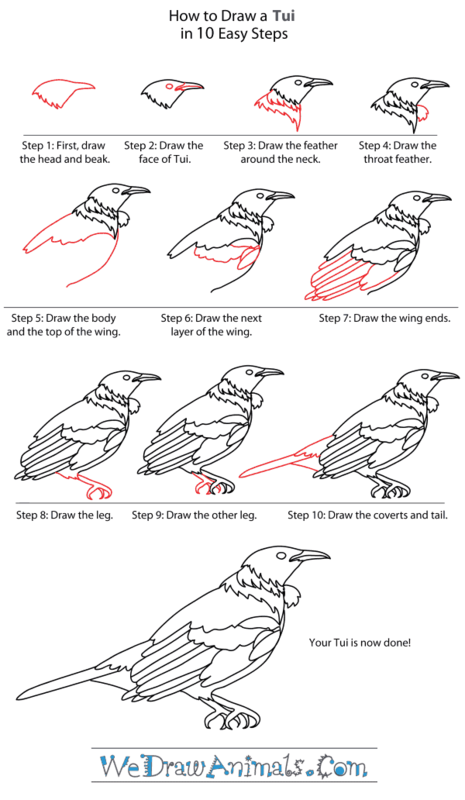 Instructions for doing this are included with/on the order form.